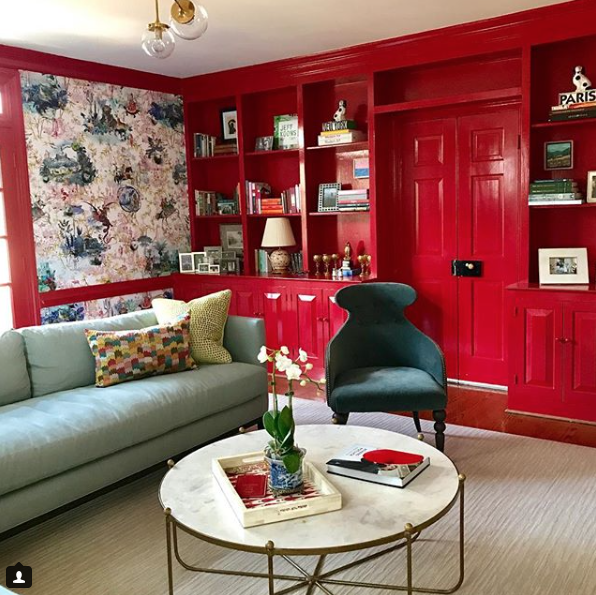 Hi I have been in love with lacquered rooms every since the first time I laid eyes on one many years ago. Newly married my husband and I were invited to the apartment of someone he did business with for a small dinner party, very sophisticated people, and intersting world travelers. 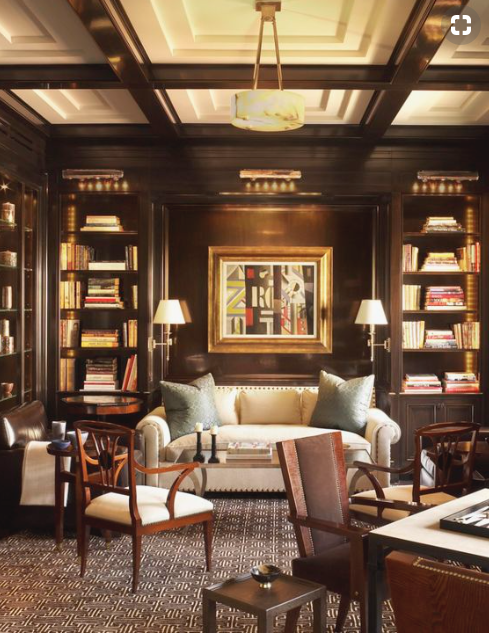 They owned a very stylish apt on Sutton Place and I remember like it was yesterday, being invited over for drinks and entering their brown/rusty colored lacquered library. It was decorated impeccably with gorgeous rich fabrics and soft lighting, and I just remember being wowed. That lacquer was total love at first sight, and has been ever since. It really stuck with me and all these years later I still love it, they were clearly ahead of their time as now this look is very en vogue. I have wanted to do a post on lacquered rooms for a long time. 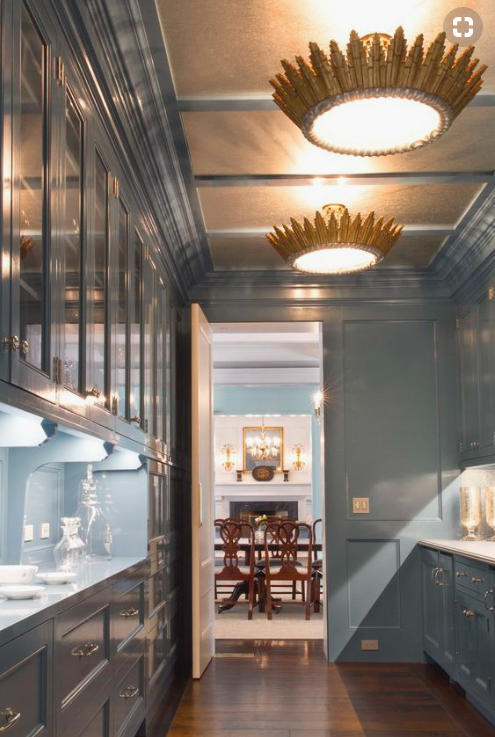 I was thrilled to do my pantry in PB in a sumptuous pale gray/blue lacquer and couldn’t love it any more. 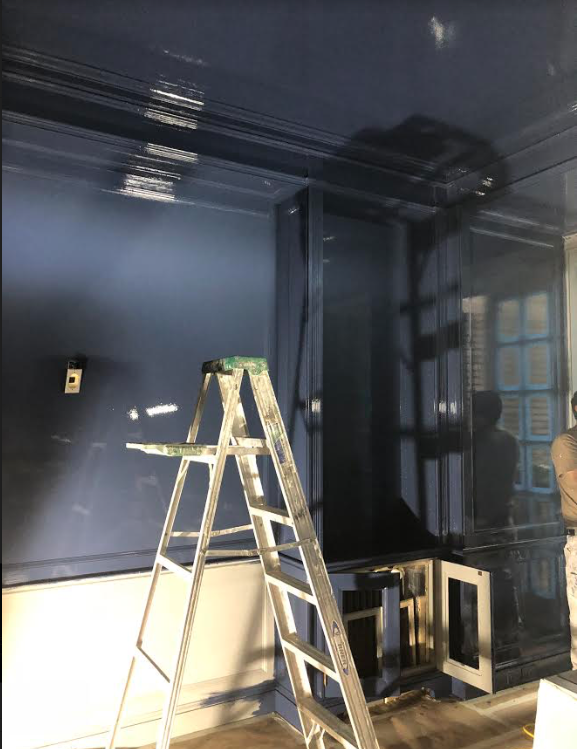 I am also working on a dream job in the city and we took the old oak colored library and having them lacquered a beautiful shade of navy…it’s going to be sensational! It is such a sophisticated look and one I am always drawn to. 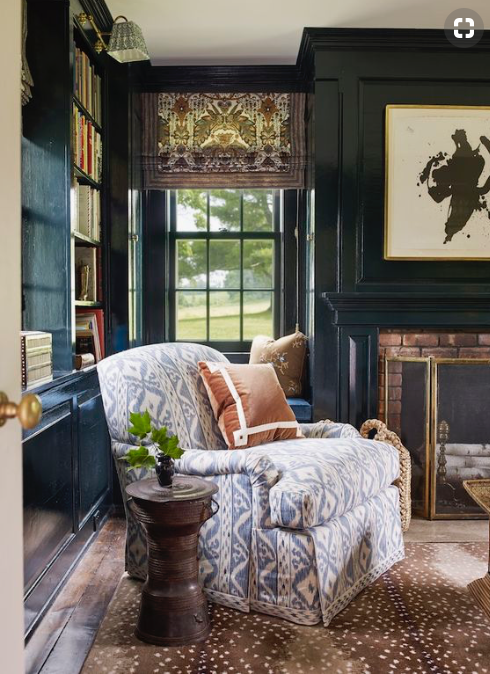 Ashley Whitaker designed this elegant space, doesn’t think look so cozy! 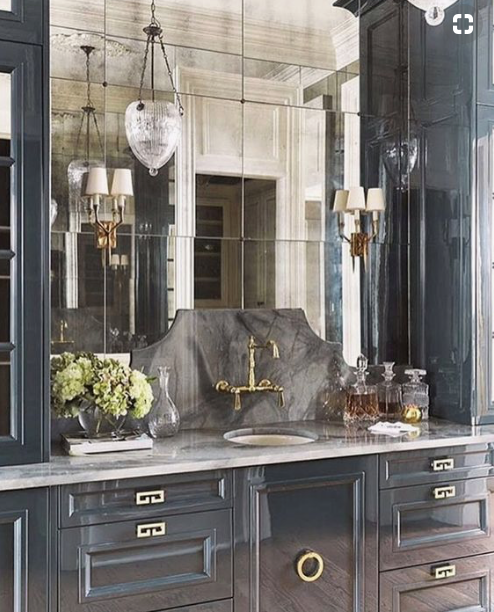 Wow Miles Redd really outdid himself with this super glamorous dramatic kitchen in black! I guess this is what they mean when they say “go bold or go home”! Garrow K Designs uses lacuqer often in his design work and it’s no wonder I am always drawn to what he does! 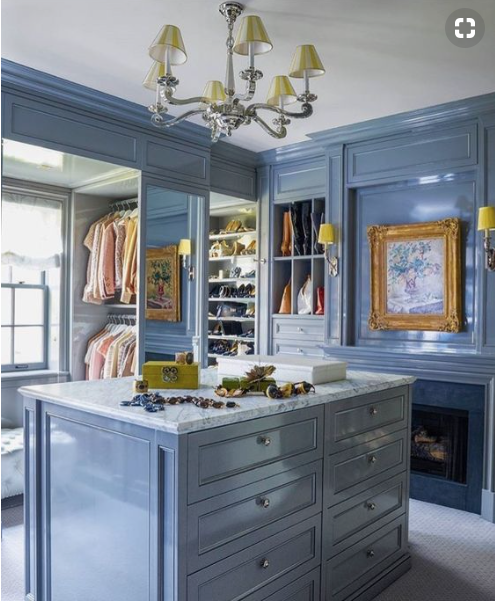 Lee Ann Thornton created this fabulous pantry…ooh la la! 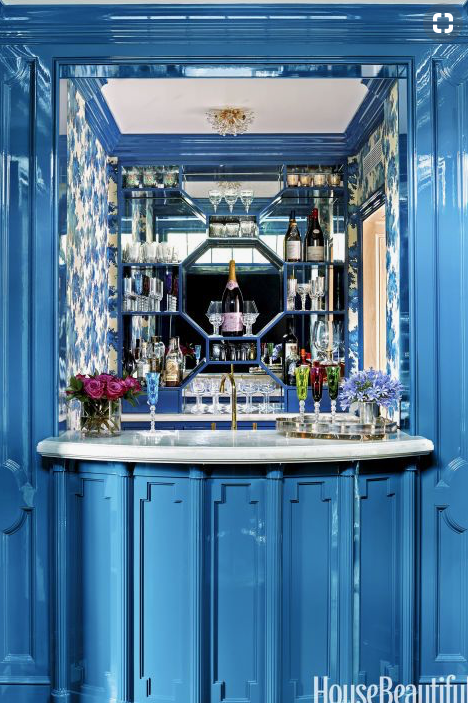 OK so if this doesn’t convince you how gorgeous lacquered rooms are, don’t know what will. 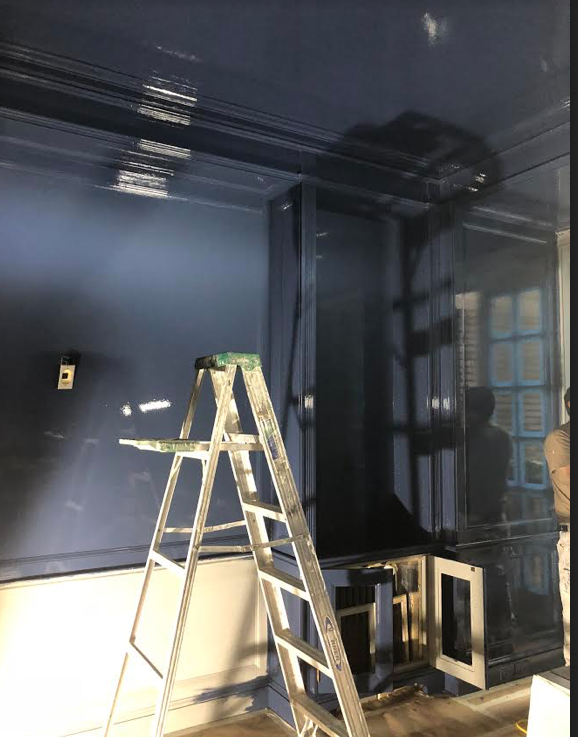 My three favorite colors to lacquer are navy, a soft blue/gray and a soft tan though seeking that mossy green really got me thinking:) Give me a blue, black or green…..and I am all set no questions asked! 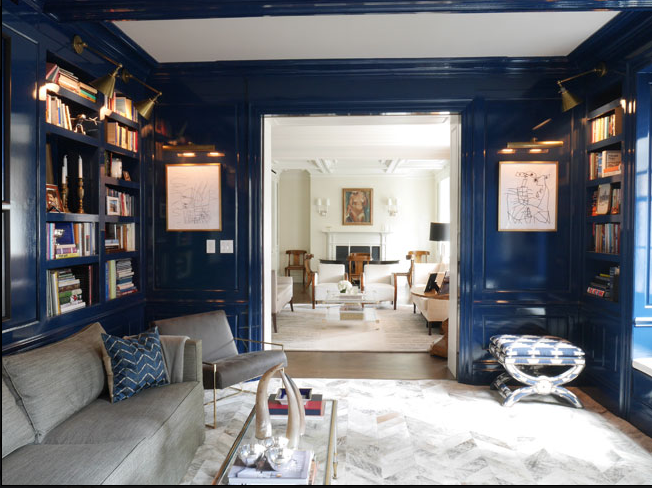 There are only certain rooms I think work best, a pantry and library are the two I would most love but I have seen a dining room and foyer (especially in an apt) and they were quite beautiful. 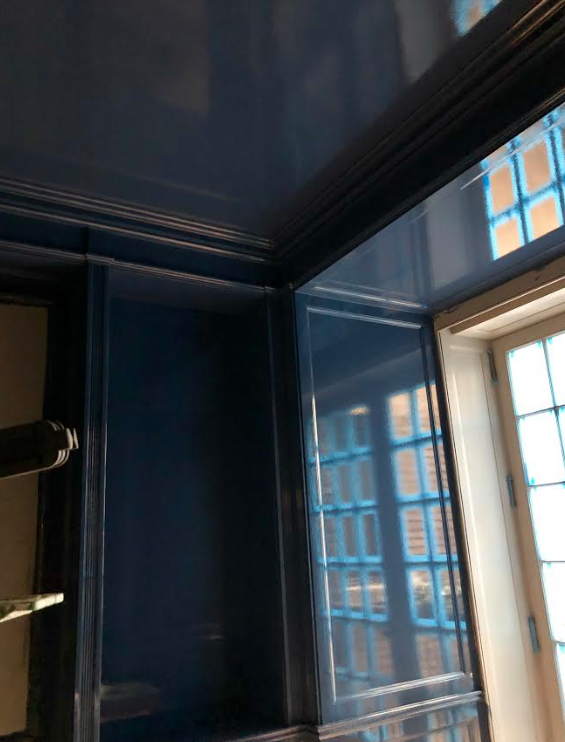 And yes, now this post has me thinking that either I need to find a room to lacquer or maybe time to start a new design project:) Would love to know as always what you think, your turn to chime in. Thanks for stopping in, until next time…. I think it is a fabulous look! My fav pic was the bedroom with the tan ceiling, so pretty. Would love to do it in a small bathroom…my only question, does it show marks, like a scratch? Maintenance? 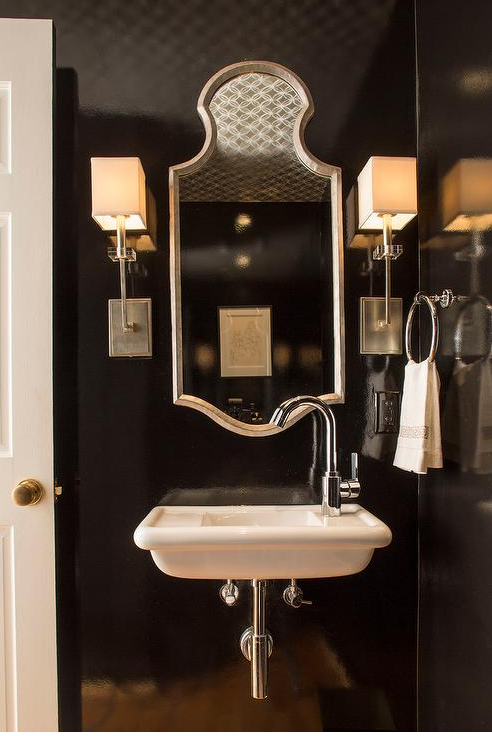 Now there’s a way to add GLAM to a room! The peak of Elegance for the walls ! 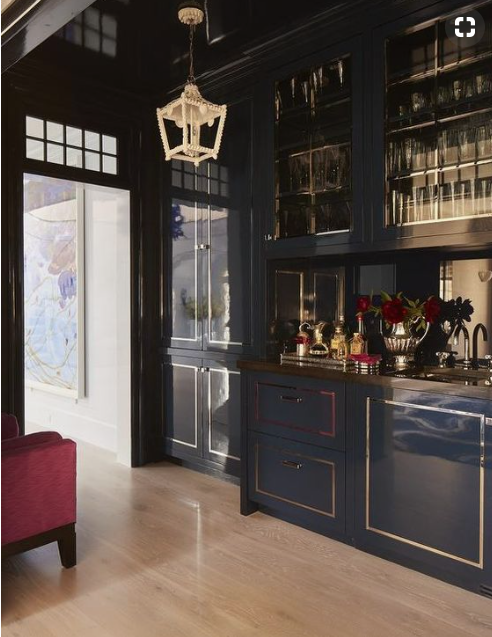 What a stunning, sophisticated look lacquer gives to a room. 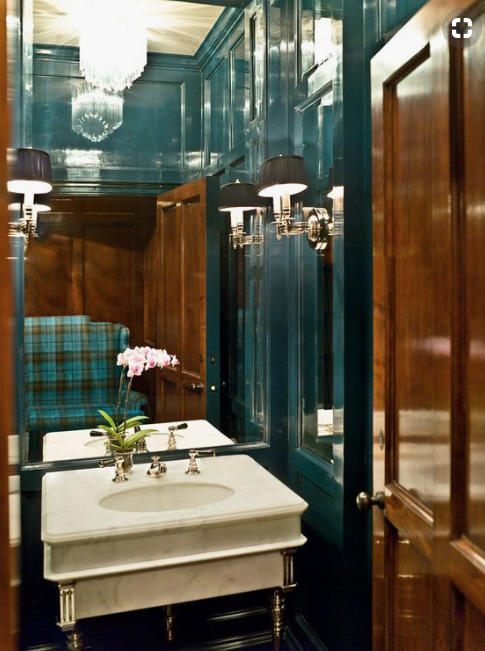 A powder room would be a wonderful choice. Totally love today’s post. 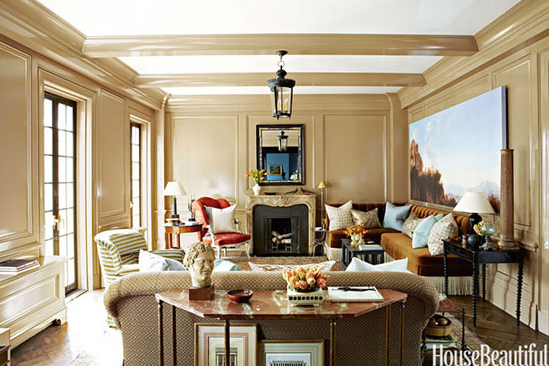 The lacquered beige Living Room has me thinking about my LR remodeling project. Every image is fabulous. Thank you! I love the look of it, although I know it’s a difficult process to obtain that look. My daughter used it in her closet, her office and a bar area. 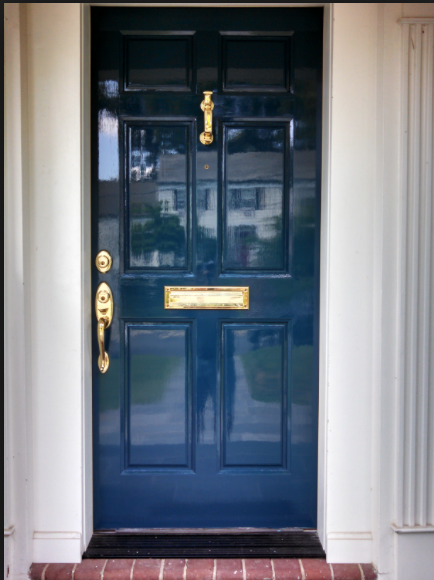 Love the lacquer look, but I think your walls and doors need to be in pristine condition, otherwise every flaw will show. Have a Happy & safe 4th of July to you and all your followers! I love this look too!! Could you tell us more about executing a lacquered room? Special preparation to the walls? should I use any special kind of lacquer paint? 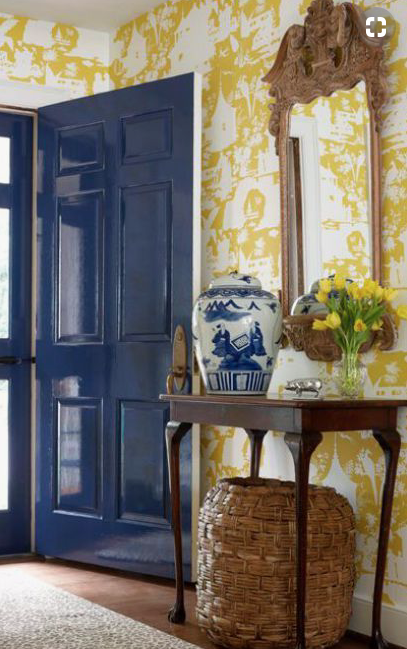 I’ve done this on wooden front doors but not on walls, please share how to do this process. Thanks for introducing me to something I knew nothing about. It is beautiful. Thinking of using it in a guest bathroom. 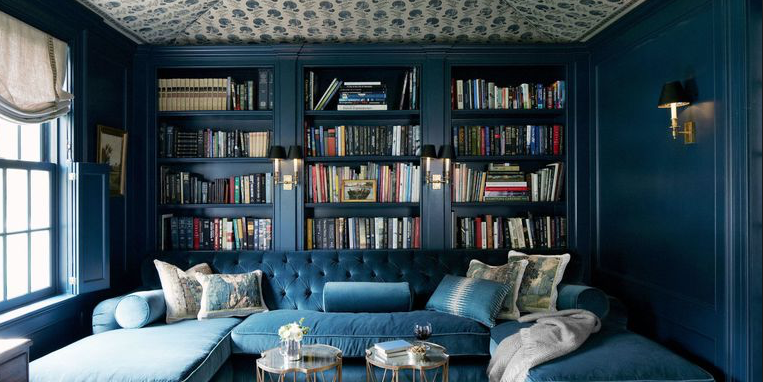 I too love a pretty blue/grey room. Do you have a favorite paint color you can share?? Never thought of using lacquer, very unique! Would love to see your NYC project after it’s decorated. It will be amazing I’m sure. My favorite wash the navy blue lacquer! I would love a pantry or powder room. What do you do with the walls if you want a different look later down the road? 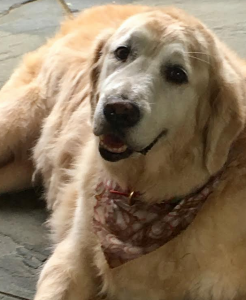 Thank you for another fabulous post. 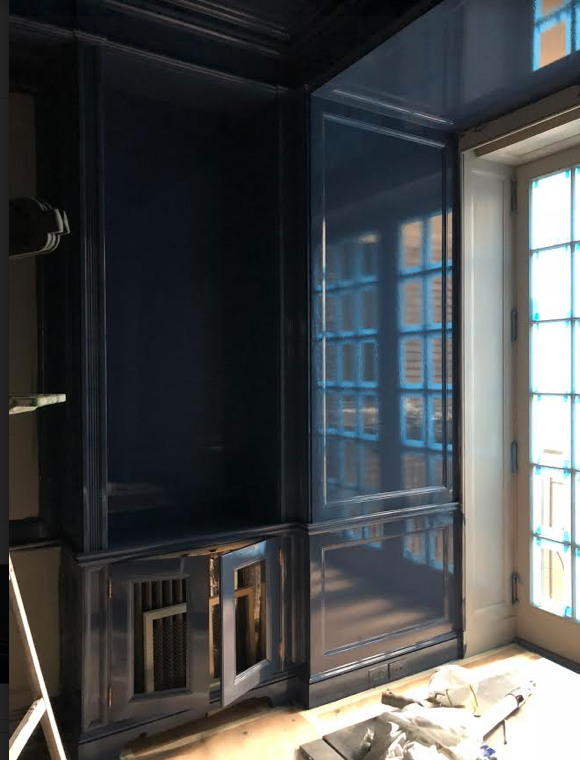 I have loved lacquer since I was a little girl and saw it in the library of a grand house in my town. 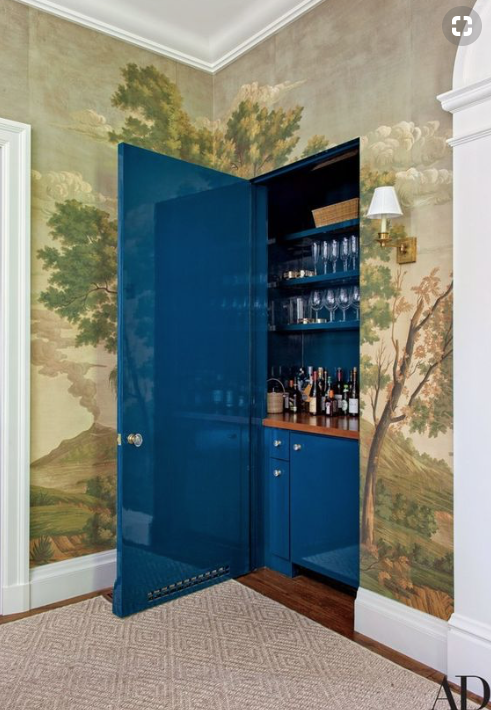 If I were decorating from scratch somebody would have to stop me from lacquering the powder room, library, pantry, and bedroom ceiling–which would be too much of a good thing. I also adore Venetian plaster on walls. What wonderful finishes. I love lacquer! Always have. It is such a beautiful look. For those looking for it on a smaller scale a piece of furniture or a mirror is a great idea. I just loved waking up to view these beautiful rooms!!! paint product or a certain number of “coats”. .? I am you eternal fan ! Beautiful Job Tina! Few people know how difficult lacquer is to do. You nailed it as usual. I first saw a lacquered room in the late 70’s. A couple redesigning their Manhattan apartment on York & 59th, painted their entryway a deep oxblood and it was stunning. Have loved it ever since. I believe the walls need to be in perfectly smooth condition or it doesn’t look right, true? Every room incredible but my favorite is the one you are doing and it’s not even done, that color is show-stopping…can I ask for the color? 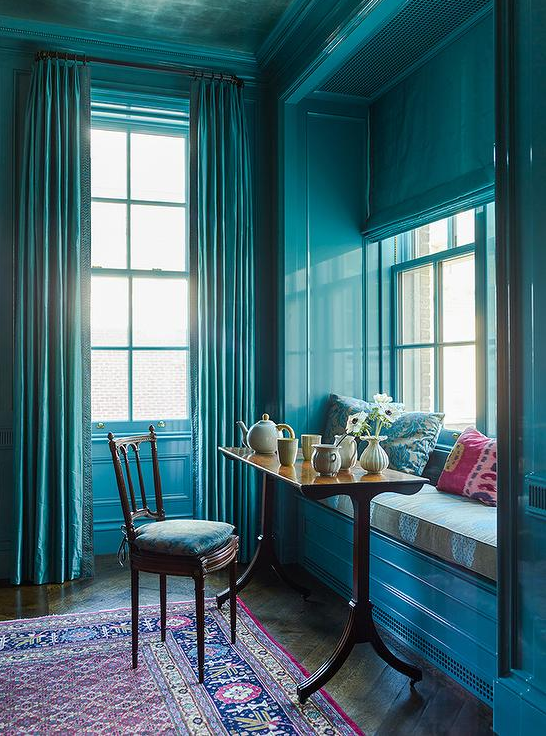 We own a small apt in Boston that we use occasionally and there is a small study, thinking that would be a perfect look there and I would love to duplicate the color you used. I cannot wait to see it complete, no doubt it will be beautiful. Such gorgeous inspiration today, thank you! I needed this. 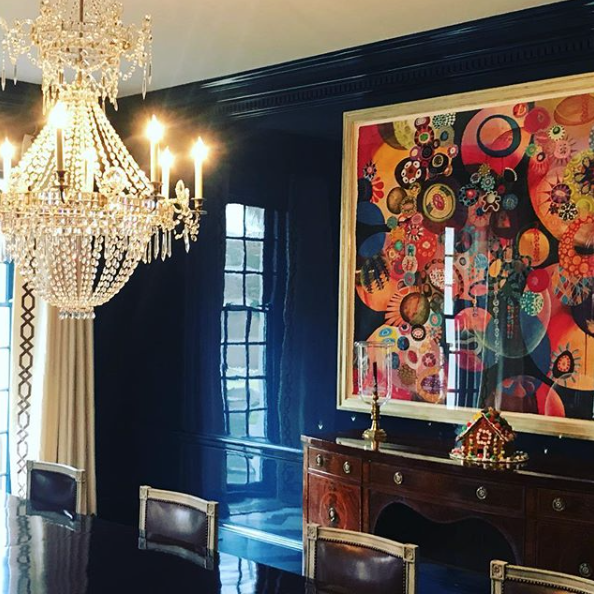 Fabulous rooms………..always loved lacquer anything……………….whose paint do you recommend ?? I just found the perfect finish for my bathroom walls! I only hope this is a DIY project, in a gloss gray. 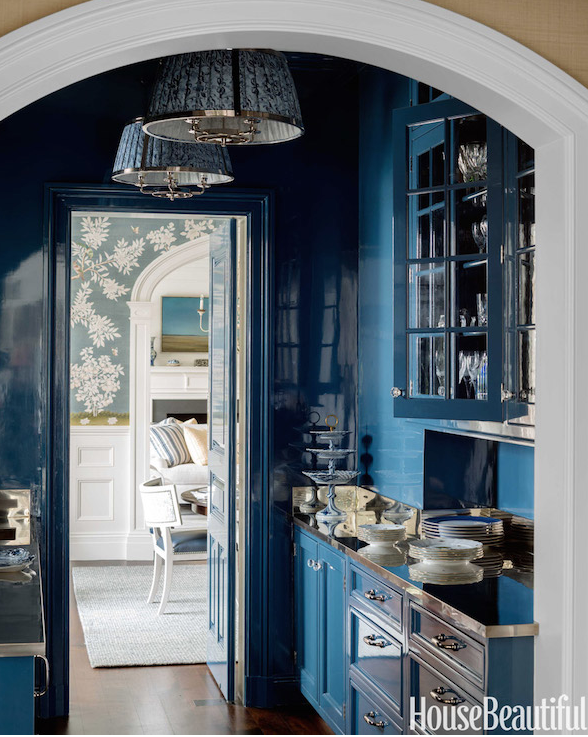 Question: when a room is lacquered, must the ceiling also be lacquered? This post makes my heart skip! The lacquered rooms are exquisite. 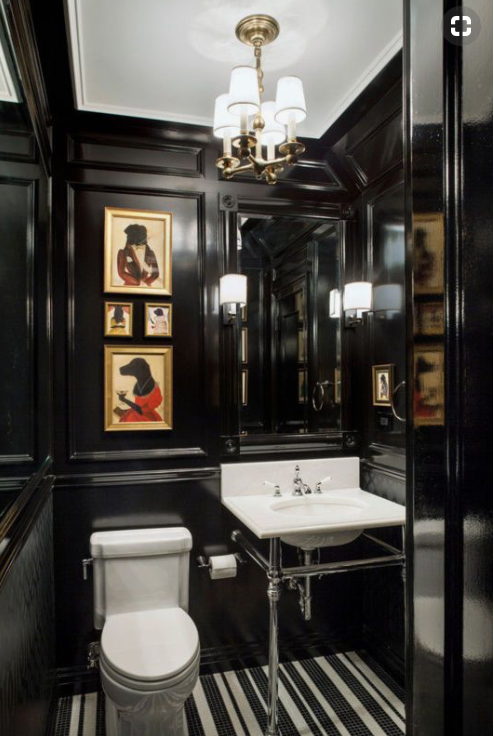 I especially love the dark rooms as they are so very elegant. I certainly would love to have a room or two in my home lacquered. Thank you for the beauty you share. 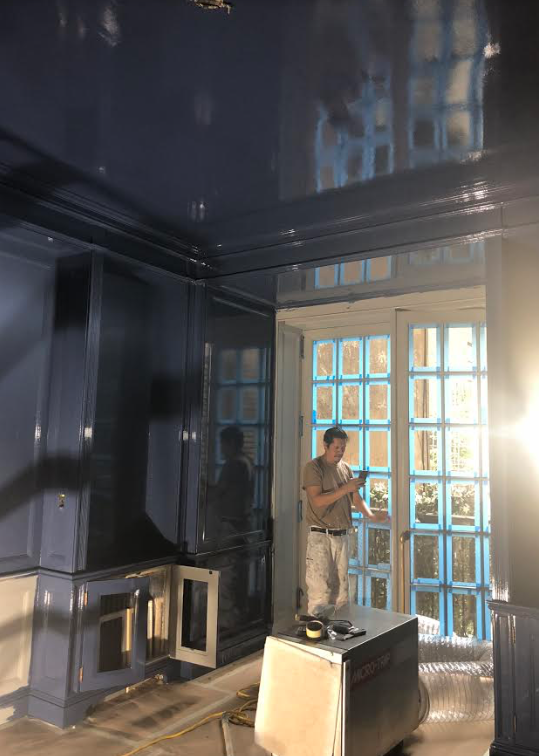 The lacquered rooms are over the top! My favorite colors are black, white, a soft blue/grey and navy. 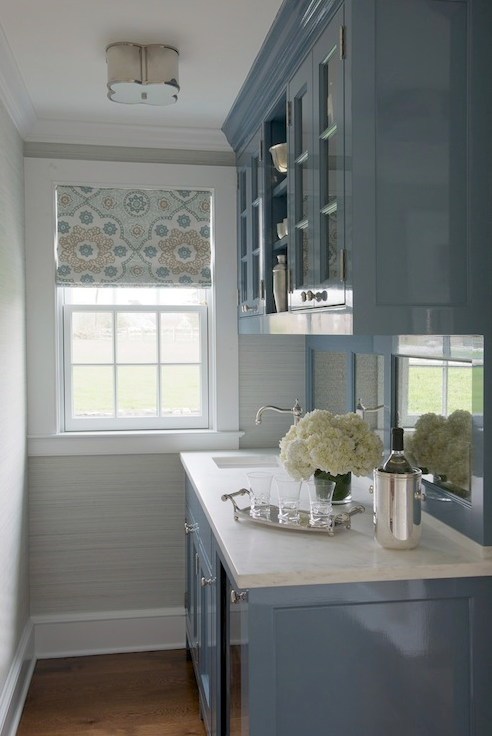 Lee Ann Thorton – pantry – House Beautiful; Elizabeth Godwin, wet bar; the blue/grey pantry are home runs in my book. 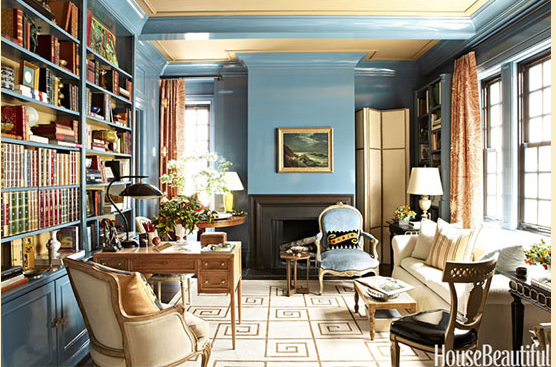 Tory Burch’s favorite moss green in her living room is outstanding. 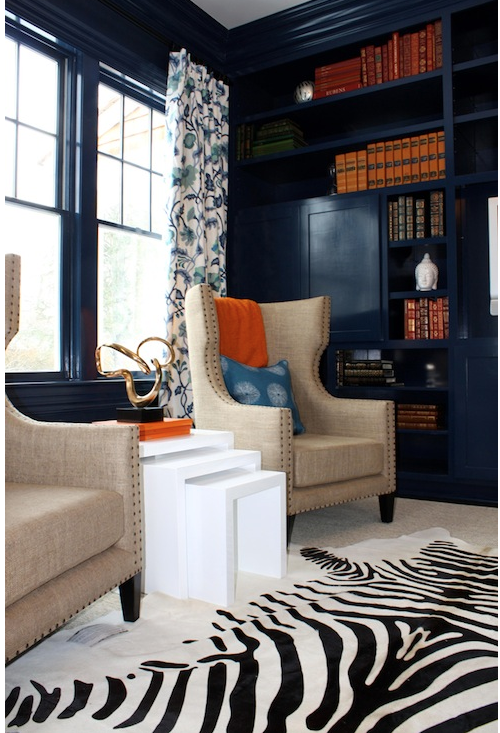 The contrast of blue and white really set the room off; and those moldings and mill work are absolutely gorgeous. I would love to see your design project in the city when completed, it looks like it will be outstanding. You must share the completed work and the b/4 and after pictures. Thanks for sharing all the Beautiful pictures. Gave me some excellent decorating ideas. 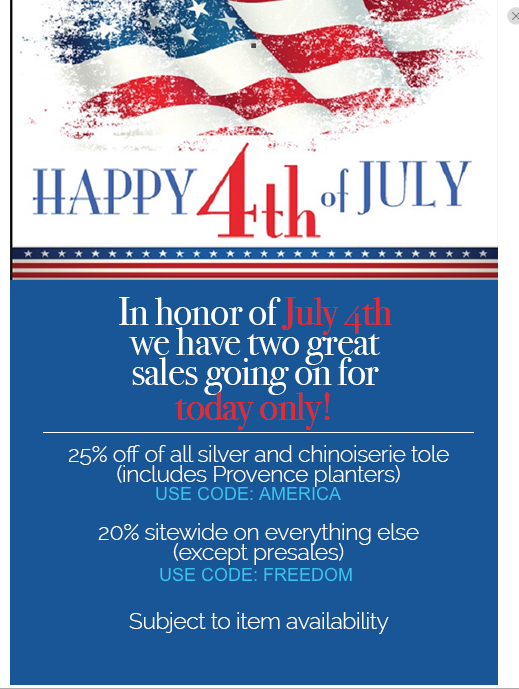 Happy Independence Day; Happy 4th of July to you and your hubby!!!! I think it is beautiful however I echo others when I wonder how bad it would scratch or chip? 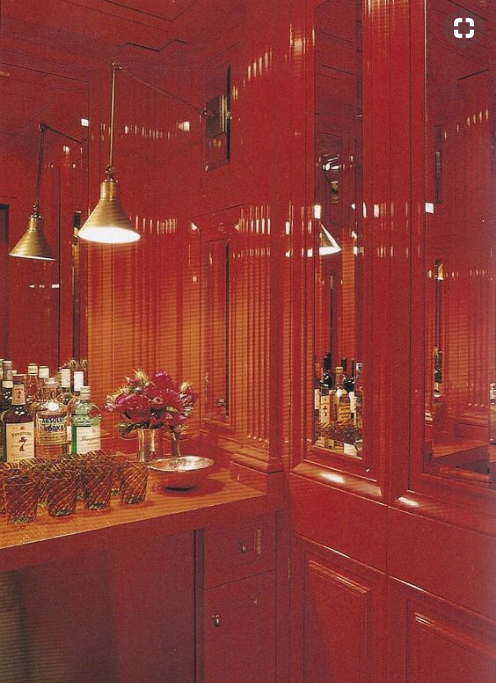 I’ve had a lacquered Chinese red powder room for 25 years and still love it. Accents of brass and black ground tropical patterned fabric. This has got my heart racing a little as well. All day I have been thinking about where I could incorporate it into my house. Do you think it would work in a Mid-Century Modern house with lots of blue and white? I think many of us want more information about upkeep and wear. Thanks Tina for this information. The rooms are stunningly beautiful, Tina. Question…. 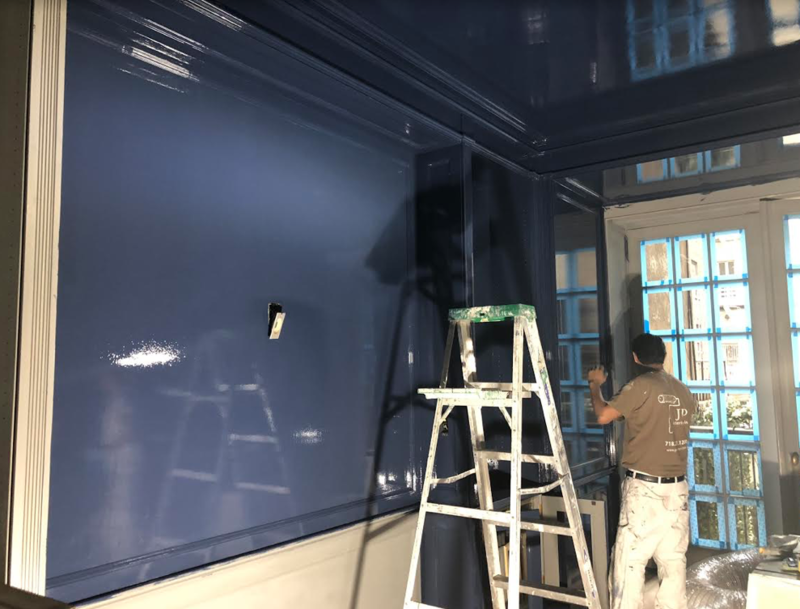 does lacquered paint tend to accentuate wall imperfections? 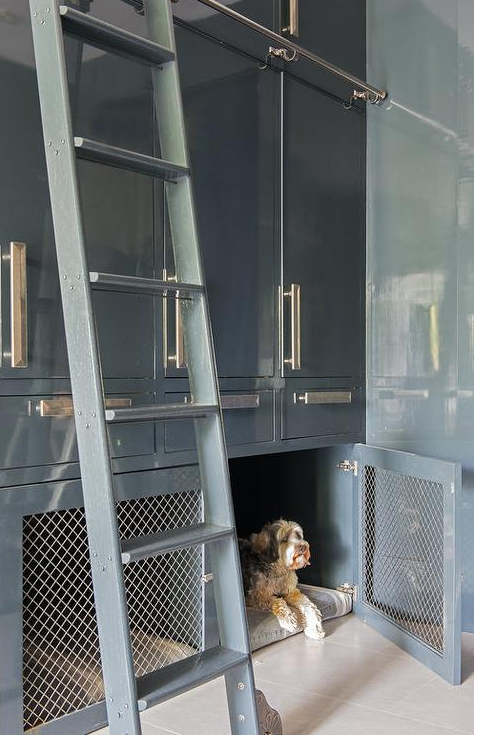 How is lacquer different than paint other than gloss? What does it entail in application? Love the library you are working on… do you have a before pic so we can see how old and dated? I love saving and giving new life to old design! I adore the lacquer look. First saw it here in Houston about ten years ago. It was a study done in a mustard color. Fab. Sadly, it is VERY expensive to achieve. My daughter got a quote for a smallish size room—$6000. Less expensive than some wallpapers but still pricey. 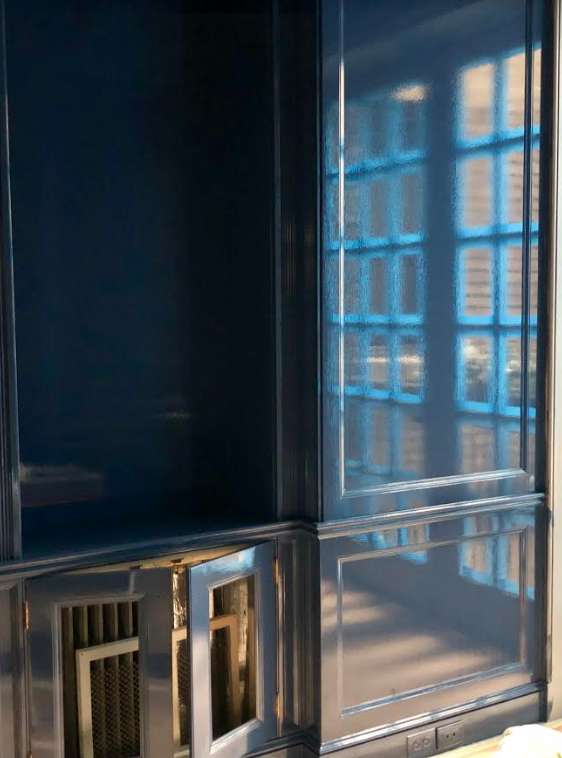 I recently have been obsessing about lacquered rooms and boom, you have a post about it! 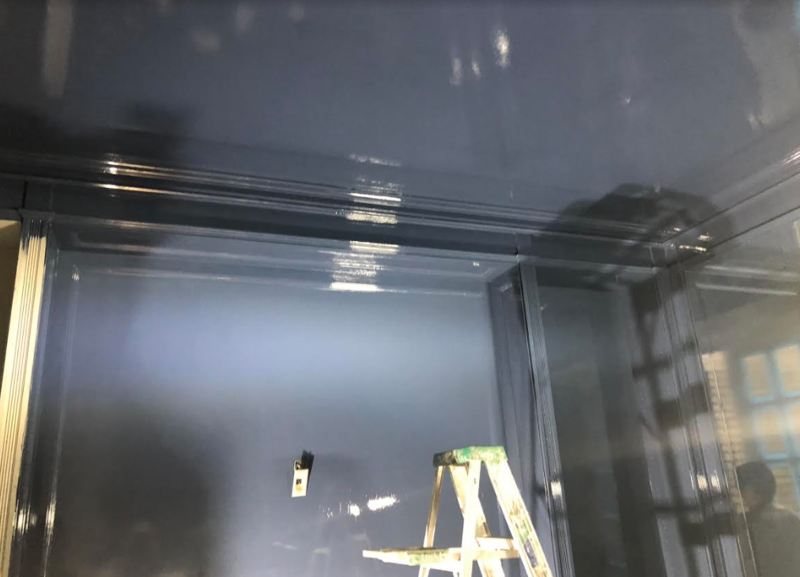 I have been searching in my area of Seattle for a painter who can do this and no one seems to know what I am talking about! Is there a particular type of paint or method of painting I can share with them to point them in the right direction? is it oil based paint? Latex? They just keep saying high gloss is all they can do 🙁 Any help would be much appreciated! I see so many posts with questions, including my previous question. Do these get answers? If so, where?